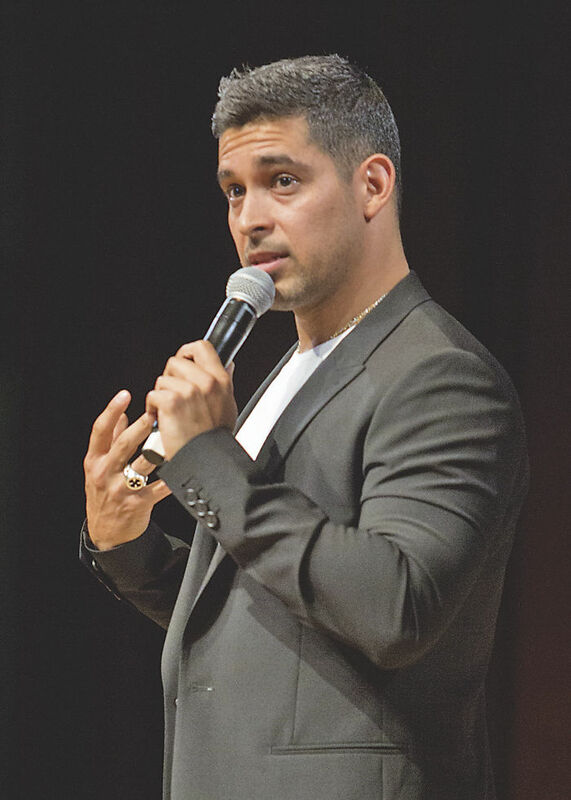 EDINBURG — The American Dream and the appreciation of the main character behind it, immigrants, is getting lost amid politics and misinterpretations, said Wilmer Valderrama to an auditorium full of mostly college students who, in one way or another, echoed his sentiment. 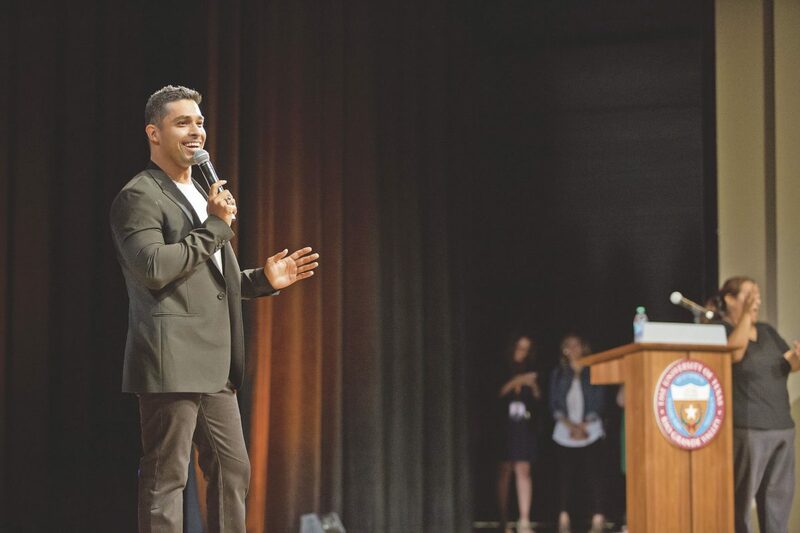 On Thursday evening he shared his story as part of the University of Texas Rio Grande Valley’s Distinguished Speaker Series at the Performing Arts Center in Edinburg. The presentation was also being broadcast live to nearly 100 students at the Brownsville campus. Valderrama was there with what he said was a simple but important goal, to share his story. “In order to understand where we can be, who we can be, or where we can go, it’s important that we remember, never forget, and we share where we came from,” he told the students as he began telling his story. His story is that of the classic American Dream, he was born in Miami to a father from Venezuela and a Colombian mother. He was raised in small town in Venezuela after the family moved back, but as the political climate intensified, his family returned to the U.S. when he was about 14 years old. His father made it very clear to him and his family, he said, that they were moving to the U.S. to work and to provide him and his sister with the opportunities his parents never had. Their life in this country was humble and full of uncertainties as money was scarce, but the dream remained. “I was 13 or 14 years old and my father gave me one task. My father told me, ‘The only job I want you to have is to get the education that your mom and I never had,’” Valderrama said. From pursuing theater not only as a childhood passion, but as a way to push himself to learn English faster in order to help his family navigate through their new life; to later acting in every audition he could land as if it was the last time he would act. Valderrama said everything he pursued was with that American Dream his parents bestowed upon him in mind. His story and that of many of the students that shared the evening with Valderrama at UTRGV, and many others throughout the country, is not based on politics, he said. The immigrant story is a human story, and a story that has built this country from its very beginning. But due to politics and division, the immigrant story tends to be blurred, misshapen and misunderstood. There is a risk today of younger generations learning about immigration in a negative light, but by sharing his story and stories like his, Valderrama said that can be prevented.